Saudi and UAE fighters have built new fortifications around Hodeida and are conducting fresh military drills amid a steady flow of Coalition military reinforcements rolling into the city, all indications that the Coalition still intends to capture Hodeida. HODEIDA, YEMEN — Yemen’s armed forces, loyal to the Houthis, said that Saudi Arabia and the United Arabian Emirates will be targeted in retaliation for any major attack on the port city of Hodeida, warning that Yemen’s army has advanced aircraft as well as the coordinates of legitimate targets in Riyadh and Abu Dhabi. We have aerial photographs and coordinates of dozens of headquarters, facilities, and military bases in Saudi and UAE. … The legitimate targets of our forces extend to the capital of Saudi Arabia and to the emirate of Abu Dhabi…. Yemen’s armed forces have in recent months managed to develop strategic defensive weapons — including ballistic missiles, drones, anti-ship missiles, and naval mines — as well as an effective air-defense system, which they say may be revealed in the coming days. They have also managed to effectively conceal large quantities of weapons in order to keep them safe from Saudi-led Coalition airstrikes. The Yemeni army also said that media reports confirm that at least 7,000 pieces of Coalition military machinery have been destroyed during the four-year war, most of it made in the United States, Britain and France. At least 19 Apache helicopters have been downed, according to the spokesman of the Armed Forces, who confirmed that Yemeni naval forces loyal to the Houthis have executed 19 operations against the Coalition at sea since the war began, with more operations being planned. The threats by Yemen’s armed forces come as the Saudi-led Coalition is reportedly trying to launch a new military campaign against the strategic port city of Hodeida, the entry point for most of Yemen’s commercial goods and vital aid. The resumption of military activity by the Coalition is seen as a blow to diplomatic efforts led by the United Nations to end the country’s four-year war. The developments in Hodeida come as the implementation of a truce between the Coalition and Houthi forces reached in Stockholm, Sweden late last year still struggles to take hold. The agreement would see both Saudi and Houthi military forces withdraw from Hodeida and oversee a prisoner exchange between the two sides. The Houthis have accused the United States and Britain of misleading the media on who is responsible for impeding the implementation of the Stockholm Agreement, saying that U.S. and British claims that the Houthis have stalled the agreement are false. After meeting with Danish General Michael Lollesgaard, the head of the United Nations mission to monitor Yemen’s truce agreement, on Monday, Mohammed Ali al Houthi said that the United States and Britain want to repeat failed attempts to take Hodeida. Al Houthi went on to warn of the potential consequences of a new battle in Hodeida on the overall humanitarian situation in Yemen. On Friday, U.S. Secretary of State Mike Pompeo, who has reiterated the Trump administration’s support for the Saudi-led Coalition in Yemen, said, during a meeting with UN Envoy to Yemen Martin Griffiths, that the Houthis are responsible for obstructing the implementation of the Stockholm Agreement. British Foreign Secretary Jeremy Hunt made similar claims during a visit to the Saudi-controlled port-city of Aden on March 4, in which he stated the Houthis are obstructing the implementation of the redeployment plan in Hodeida. When the Stockholm Agreement was signed, it was seen as a breakthrough toward ending the devastating war in Yemen, but hope quickly waned as the agreed upon date for a mutual troop withdrawal from Hodeida came and went without change. The Houthis have confirmed repeatedly that they are ready to implement the Stockholm Agreement unilaterally in order to alleviate the suffering of Yemenis, saying that they have notified the United Nations that they are ready to initiate a unilateral redeployment from Hodeida. To date, they have not received a go-ahead to begin redeployment from the United Nations, which is overseeing the deal’s implementation. 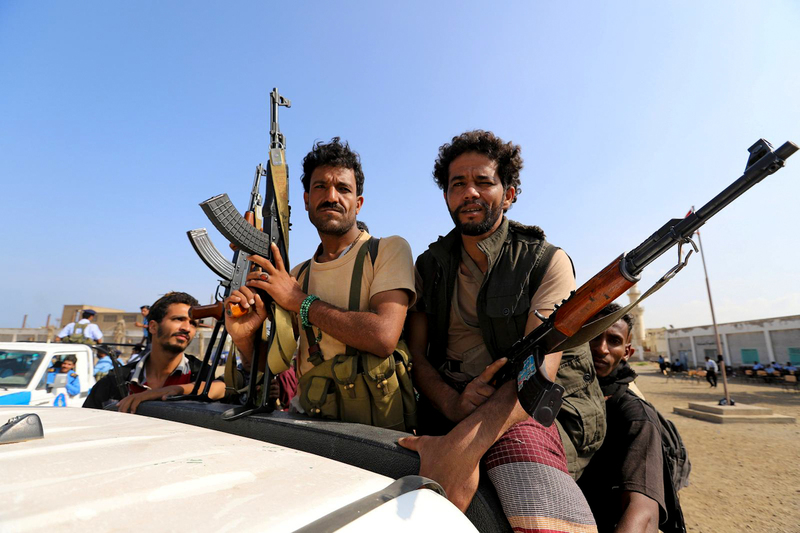 For their part, Saudi and UAE fighters have built new fortifications around Hodeida and are conducting fresh military drills amid a steady flow of Coalition military reinforcements rolling into the city, all indications that the Coalition still intends to capture Hodeida. Griffiths added that the operational details will be presented for endorsement to the parties in the Redeployment Coordination Committee (RCC), but he did not give a date for the start of the pullback. Griffiths added that he is looking forward to the swift endorsement of the plan, expressing hope that a deal would pave the way to a broader political settlement to end the war. Aside from the redeployment, the Saudi-led Coalition has also aborted the prisoner exchange initially agreed upon in Stockholm last December. The Coalition’s pull-out of the exchange, which was to facilitate the release of thousands of prisoners by both sides, has left many Yemenis doubting Coalition sincerity in abiding by the other terms of the Stockholm Agreement. Local Hodeida residents have doubted the feasibility of the UN-brokered agreement since it was first reached. Many see the truce as nothing more than a media spectacle that has done little to bring quiet to their country. Instead of airstrikes, they say, snipers, artillery shells and missiles have now become the norm in Hodeida’s districts. Both sides of the conflict accuse each other of repeatedly breaching the ceasefire in Hodeida. According to Yemen’s Army, loyal to the Houthis, the Saudi Coalition and allied militant groups have violated the ceasefire at least 11,000 times since the truce began, putting the rate of attacks in Hodeida almost equal to the number of airstrikes carried out against the city before the ceasefire was signed. The Norwegian Refugee Council — which has been providing food, shelter and other necessities in Yemen — said that ceasefire violations in Hodeida have risen despite the now-three-month-old truce, reporting that sniper and explosive attacks have been growing despite an easing of airstrikes. 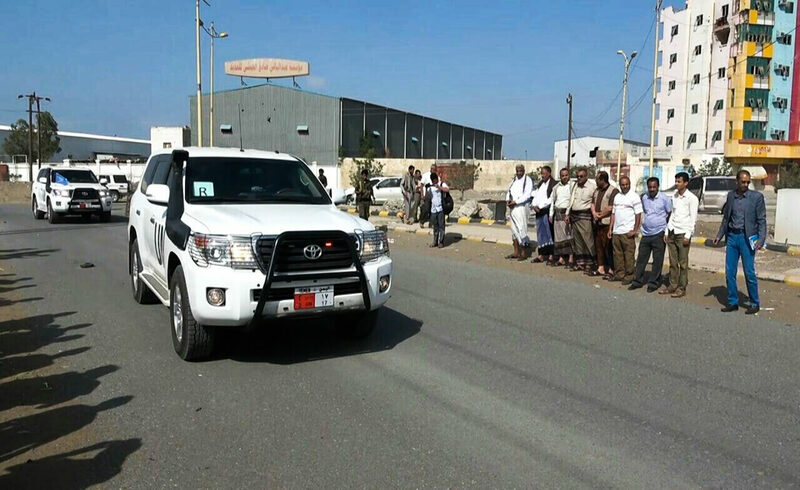 The Council also said that deaths have been rising in two other regions — Hajjah and Ta`iz — since the Hodeida truce was signed. At least 348 civilians have been killed in the two provinces — more than double the nationwide number, excluding Hodeida — in the past three months, said the Council, using data from the Civilian Impact Monitoring Project backed by humanitarian agencies. “While airstrikes on Hodeida city have reduced significantly and a semblance of life has resumed, the fighting is intensifying in other parts of the country with a devastating impact on civilians,” the Council said in a statement. The Council went on to say that 13 schools were among the buildings attacked over the past three months and that 80 percent of Yemen’s population — 24 million people — still require humanitarian assistance. Other human-rights groups estimate the toll could be much higher. Yemen’s Ministry of Public Health said in a press conference held in the capital Sana’a on Tuesday that more than 100,000 children are dying every year as a result of the ongoing war and the Saudi blockade on Yemen, revealing that 50 percent of the health sector has been destroyed and 97 percent of remaining hospital equipment has exceeded its recommended lifespan as a result of the war and blockade. Most humanitarian groups say that since the ceasefire began, the lives of thousands of civilians in Yemen, especially in Hodeida, have actually worsened. The number of internally displaced people has increased to 3.3 million according to the United Nations. That figure marks a sharp uptick from the 2.2 million people recorded in previous years. Moreover, an estimated 360,000 children are still suffering from severe acute malnutrition, fighting for their lives every day, according to UN Secretary-General Antonio Guterres, speaking to a donor conference in the Swiss city of Geneva on Tuesday. Guterres revealed that “one credible report put the number of children under five who have died of starvation at more than 80,000. According to Yemeni army spokesman Sare’e, since the war began in March 2015, at least 250,000 Saudi Coalition airstrikes have hit non-military targets, and at least 500,000 missiles and 600,000 cluster bombs have hit civilian targets. Since the war began, humanitarian organizations have repeatedly warned that the Saudi Coalition is targeting civilians. A recent University Network for Human Rights (UNHR) report released on March, 6 revealed that many Coalition attacks appeared to take place far from any potential military target. The report went to say that coalition forces no took adequate precautions to minimize harm to civilians, as required by international humanitarian law.